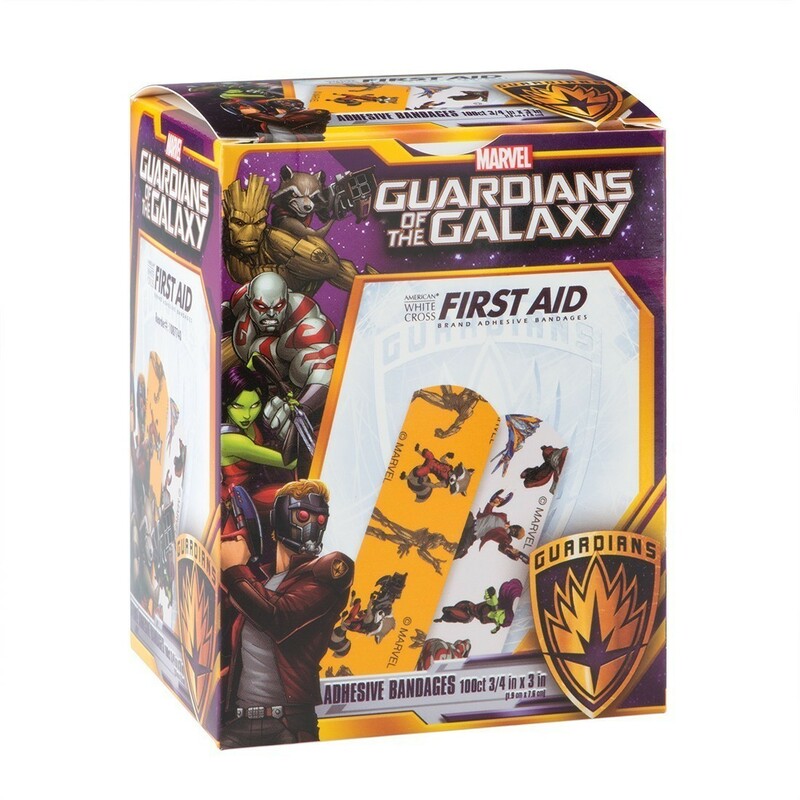 Guardians of the Galaxy™ bandages feature Star-Lord, Gamora, Rocket, Drax, Groot and the Milano on Stat-Strip® latex free bandages. The easy pull-open wrapper allows for a quick, hygienic applicaton. 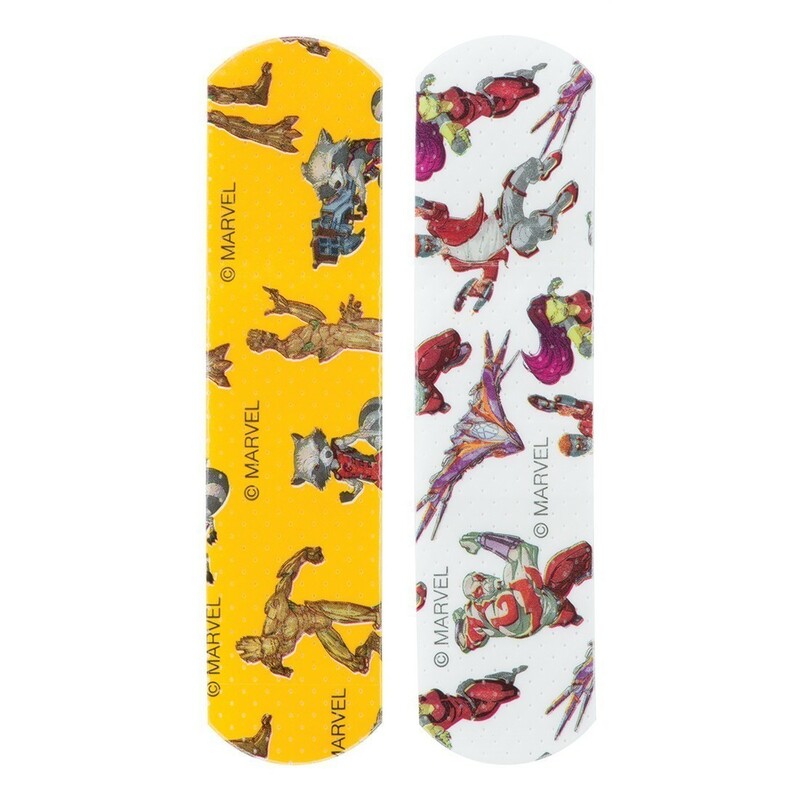 They feature a gentle adhesive and highly absorbent, non-adherent wound pads that are safe for children's skin.